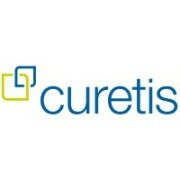 Curetis AG focuses on multiparameter testing of many analytes in a single run, providing broad panels of combined pathogen and resistance gene detection for a wide range of diseases. Curetis integrates todayÂ´s molecular diagnostics laboratory into one instrument for the detection of severe bacterial infections as a first target application. However, the universal platform will also allow the future expansion into other clinical applications with additional market opportunities beyond infectious diseases.